Amravati, in the state of Maharashtra, is fondly known as Ambanagari. This city is the 5th most populous metropolitan area in the state. Amaravati is situated at the Tapi basin and the city's main agricultural productions are cotton, jowar, tur and oranges. Amravati is very well connected by road with the important towns and cities within the state. Winter season extends from November to February. The weather generally remains comfortable with minimums in high-teens and maximums in lower-thirties. Therefore, plan your visit to this city during the winter months. If visiting Amravati during peak summer season, do not forget to carry enough summer clothes and the season is very hot and dry. Summer begins in the month of March and lasts till June. Day temperatures settle between 27°C to 42°C during these months. 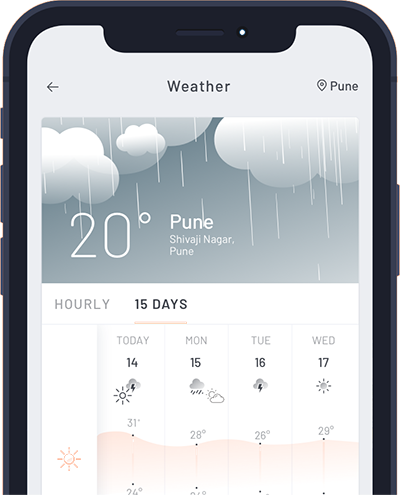 In Amravati, monsoon season starts from June and lasts till mid October. You are likely to witness heavy rainfall here, in the months of July and August. Therefore, better avoid visiting the city for sightseeing purpose. From museums to temples and tiger projects to lakes, Amravati has everything for all. The major attractions are the two museums in the Chikhaldara area, Melghat Tiger Reserve, Ambadevi Temple, Satidham Temple, Shri Bhakti Dham Temple, Chatri Talao and Wadali Talao.